Get Excited!!!!!!! Toluna is back in action with another awesome FREEBIE! 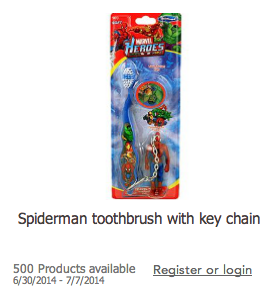 This time, its FREE Spiderman Toothbrush and Key Chain Being part of the Toluna team is a GREAT way to earn FREEBIES and get PAID to try them out.